Free tax return preparation for California and Nevada taxpayers of all ages with low-to-moderate incomes through the AARP Tax-Aide program. There is no appointment necessary. You must bring your social security card, photo ID, 2018 tax return documents, and a copy of your 2017 tax return. Where: Lake Tahoe Senior Center, 3050 Lake Tahoe Boulevard, South Lake Tahoe, CA 96150. When: February 4th to April 15th, Mondays, 12p.m. 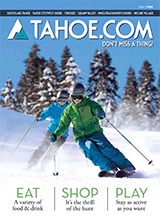 – 4p.m., Thursdays, 10 a.m. – 2 p.m., and Saturdays, 10 a.m. – 2 p.m. Go to Facebook @ Tahoe Taxaide Team if weather requires changes to days &/or hours. Los lunes e jueves habrá una persona que hablará en español.